Welcome to our #Unselfie Saturdays! This is a way for you to shop and give back with each purchase in our store. All those charming things we have that you love, from butterflies to vintage linens to candles to stuffies to etc. etc….. 🙂 Each month we will highlight a heartstring ♥ charity that needs awareness, helping them with 20% of your in-store purchase. This includes all our wonderful gifties on the first floor-the second floor Earth shop. 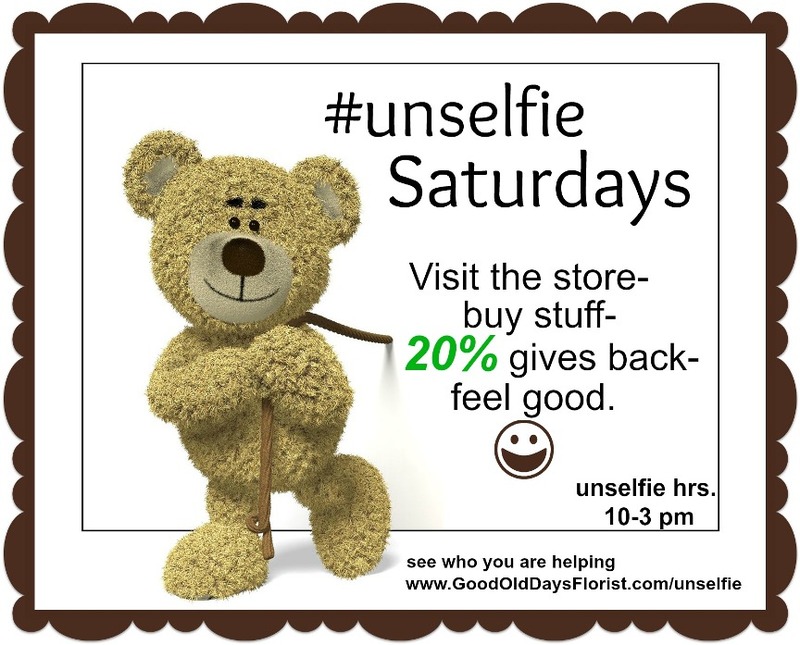 So, next time you go shopping-think #unselfie Saturday first because we have so many special finds, unusual bits, and one-of-a-kinds that if we don’t have it-hmmm you probably don’t need it! For over 25 years these wonderful folks have been rescuing homeless & abandoned greyhounds retired from the racetracks. They are tireless, passionate, totally committed-and the reason I have the best friends in my life….Willow & Jazzy. 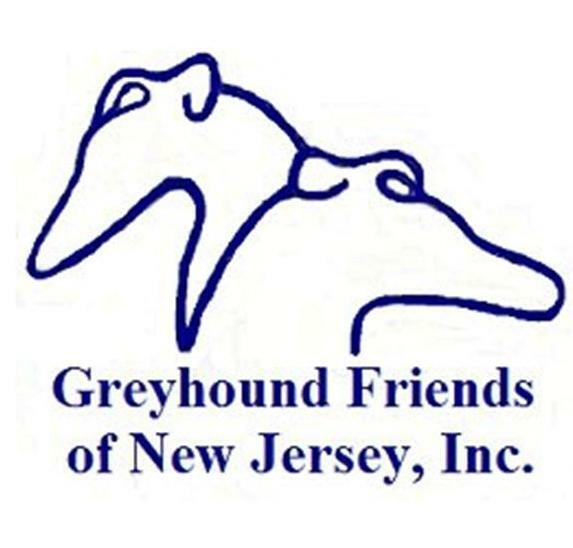 Visit their site to learn about the greyhound issues and take a peek at the many dogs for adoption. Maybe you will find your best friends like I did. If you are harried, a little guilt ridden, or just concerned about the state of your shopping or… like us, feeling confused on how to be a more responsible shopper or maybe…just overwhelmed and would like to do more good but…..well then this is for you. If you have a rescued animal, adore elephants, cherish our national parks, have a concern for chemical use, etc. etc. or maybe…love trees like us; then this is for you. Our new program is a day to bring awareness to a myriad of environmental/animal issues AND help them with your purchases without spending an extra cent. I do it all for you. I take the profit loss, I donate the money, and I help you feel good. How Unselfie Came To Be? The selfie photo rage became the newest online phenomenon that started out innocently at the Academy Awards, but now has developed a darker side of self and conceit. It seems to now be in the true sense of the full word-selfish and all about me. Willow and I got to looking at each other and thinking about the massive gluttony of shopping, especially around the holidays: *open Thanksgiving *Black Friday * Cyber Monday, and then….Giving Tuesday. Giving Tuesday seems a wonderful idea but also just another day for the retail industry to appear to have a good side and still push you to spend more. Hmm, we didn’t know they had a good side and why a Tuesday when everyone is at work? According to any retail survey, Tuesdays & Wednesdays are the least busiest days of the week. So we thought…what if we have a Giving Tuesday at the store? Ok, but 1 day seemed not enough for us so what if we took it further for the entire month of Tuesdays? Ok, that was better but what if it was year round? Now that was a lot better! Then….we said why Tuesday? It doesn’t seem easy for most working folks. Ok, so we again revamped it to Saturdays; every in-store non floral, purchase on a Saturday year round. We liked that a lot and think it is the best to make a real difference. I know, I know, we are also in the retail industry you say; and yes I have to make a living. However, there is a huge difference between a making a living profit and a killing, and I have a mission so far beyond profit that I often have to step back and cap myself before I mission myself out of business. But, in my mind, I just can’t seem to do enough. We thank you for helping our #Unselfie Saturdays!